Poetess Hamutal Bar-Yosef was born in Kibbutz Tel Yosef in 1940. 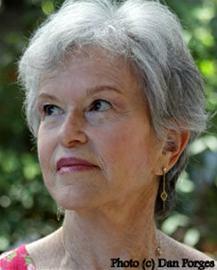 She received her Ph.D in Hebrew Literature from the Hebrew University of Jerusalem in 1985. She taught Hebrew literature at Ben-Gurion University of the Negev until 2003, and is now Professor Emeritus. She has also been a visiting professor in Paris, Moscow and Columbia University in New York. 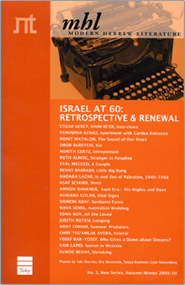 Bar-Yosef has published many collections of poetry as well as academic books and articles on Hebrew literature. She also translates poetry from English, French and Russian. Among other awards, Bar-Yosef has received the Tel Aviv Prize (1987), the ACUM Prize (1987), the Jerusalem Prize for Poetry (1990), the WIZO Prize for the Creative Woman (1999), the President's Prize (2002), the Brenner Prize for Poetry (2005), the Yehuda Amichai Prize for Poetry (2011), The ASI Prize (2012), the Ramat Gan Prize for Poetry (2012) and the ACUM Prize for Lifetime Achievement (2013).